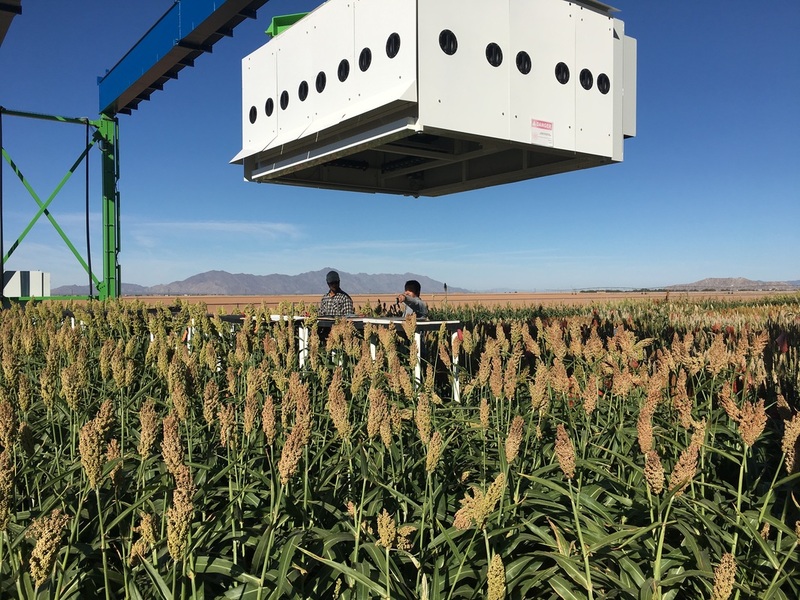 November 11, 2016: Remote Sensing Lab conducted a field work in Maricopa, Arizona where a giant field robot and drones laden with hyperspectral, thermal, LiDAR, PSII, and PRI cameras are being used to search for biofuels as the new energy source. 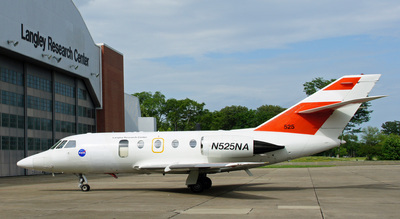 The project is funded by the Department of Energy ﻿more. September 14, 2016: Our work is featured at NSF EPSCoR Missouri Statewide meeting, see YouTube video here. 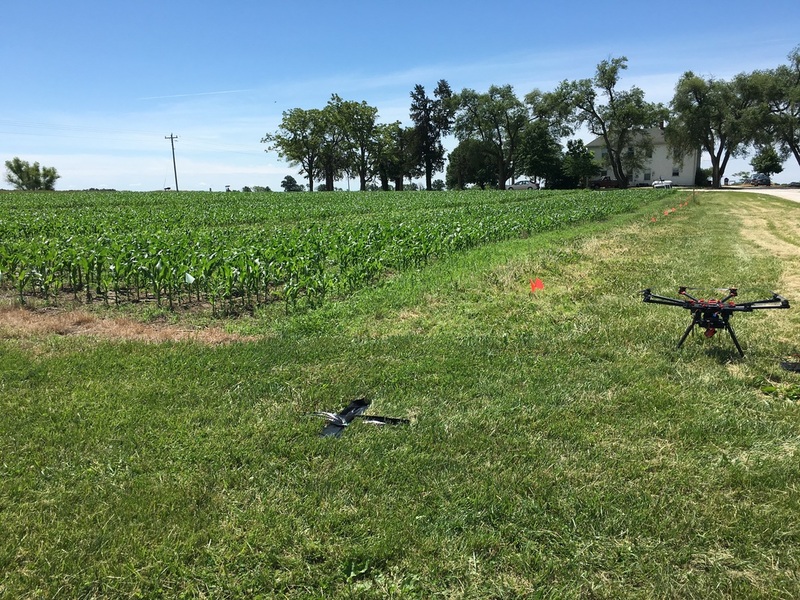 June 2, 2016: Our lab collaborated with Missouri University of Science and Technology, University of Missouri and industry representatives on a field and airborne data collection campaign conducted in Columbia, Missouri. 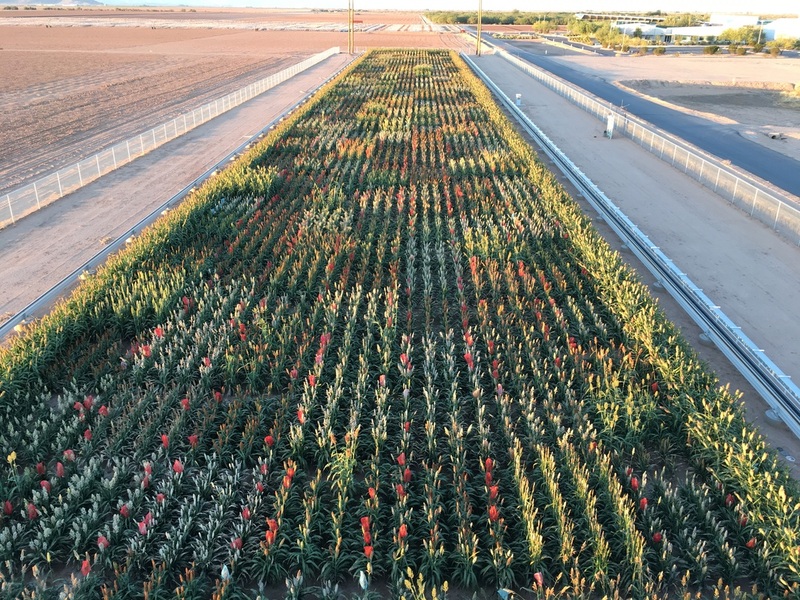 A suite of imaging systems including hyperspectral, thermal, and RGB cameras mounted on multiple octocopters were used to collect plant physiology data. January 1, 2016: Mark Grzovic received Saint Louis University's prestigious Dissertation Fellowship. December 2015: Several lab members (Sean Hartling, Kathleen Thatcher and Justin Vilbig) won DigitalGlobe Foundation award which grant them up to 30 high resolution commercial imagery for graduate research. Congrats! November 30, 2015: Wasit gave a talk at Tulane University, New Orleans. Thanks to the Department of Earth & Environmental Sciences for arranging the visit! November 18, 2015: Wasit gave a talk at Missouri State University. Thanks to the Department of Geography, Geology and Planning for arranging the visit! August 26, 2015: Great job, Bethany!!! Bethany's presentation on her summer work on "Real-Time Tree Inventory, Visualization Using ArcGIS Online" was a great turn out. The demonstrated on using state-of-the-art technologies, including the ESRI Collection application, a Trimble R1 GNSS Receiver, an IPAD mini, ArcGIS online, and ArcMap to automate field data collection process has attracted a great interest. See the video here. April 3, 2015: Wasit gave a talk at the Environmental Research Center Seminar series, Missouri University of Science and Technology. Thanks to the Department of Civil, Architectural and Environmental Engineering for arranging the visit! March 25, 2015: Matthew Maimaitiyiming's proposal is awarded by DigitalGlobe Foundation. With this grant, Matthew can now utilize WorldView-2 multispectral imagery for crop health monitoring. Congrats! March 2015: Congrats to Mark Grzovic and Matthew Maimaitiyiming for them passing their PhD written comprehensive exam! November 20, 2014: Wasit gave a talk at ASPRS Heartland Region Technical Meeting held at Saint Louis University. 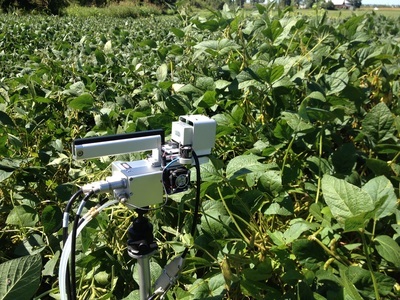 Title of the presentation: Precision Agriculture Under Changing Climate: A Remote Sensing Approach. October 2014: The lab was awarded a research grant from NASA EPSCoR. 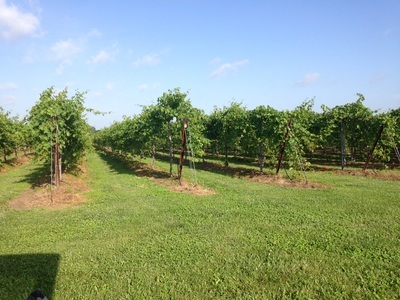 We are grateful for this support of our work to look at plant responses to background ozone stress in open air agricultural field! August 13, 2014: An exceptionally clear day in St. Louis, a special day for our lab! We were able to collect hyperspectral data using NASA's GeoTASO hyperspectral sensor (airborne version of TEMPO)! 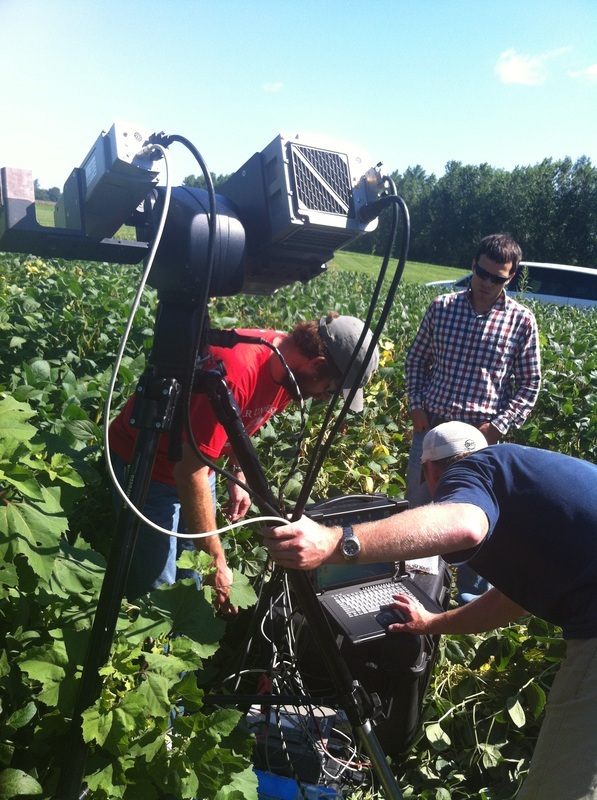 This allows us to explore the impact of scale when measurements are made at field, airborne and satellite sensors. 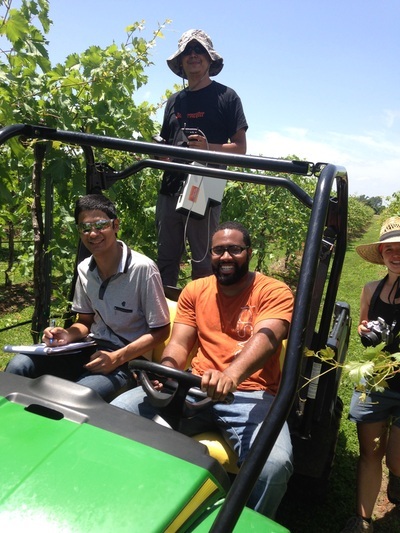 Summer 2014: The lab conducted hyperspectral data collections over a number of agricultural test sites in Missouri during the growth period of crops. 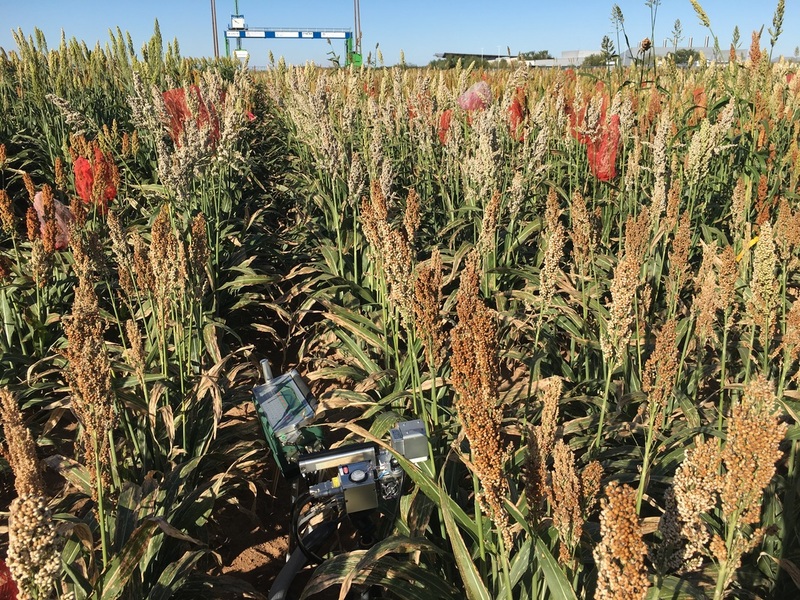 The goal was to to monitor the impact of climate variability and change on plant productivity by using hyperspectral imaging of plants in natural and agricultural ecosystems. 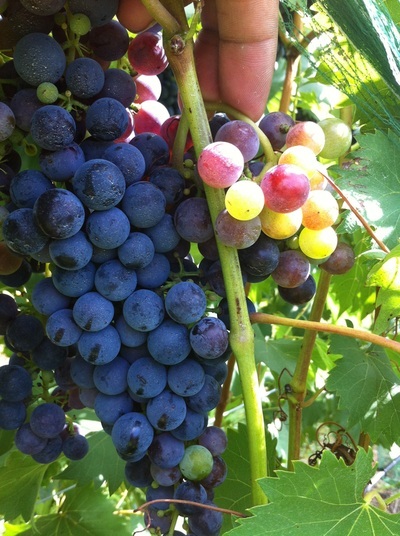 Specifically, our work focused on the impacts of water and ozone stress on crops. Thanks to the hard work and great contributions from all of our lab members!